Review: Jason Isbell, 'Something More Than Free' The album balances clarity and grit in a way that highlights Isbell's competing halves: On one side, he's an immaculate old-school songsmith; on the other, he's a rebel with ragged edges. Jason Isbell's relationship with the South — like that of his former band, Drive-By Truckers — is complicated. An Alabama native, Isbell has continued to embrace his Southern identity since leaving the group in 2007 and embarking on a solo career. But what exactly does that Southern identity entail? Isbell's music, without a doubt, is steeped in the more simmering sounds of Americana, from country to soul to Southern rock. Still, it reaches far beyond the confines of his homeland and yearns for a more universally emotional connection. 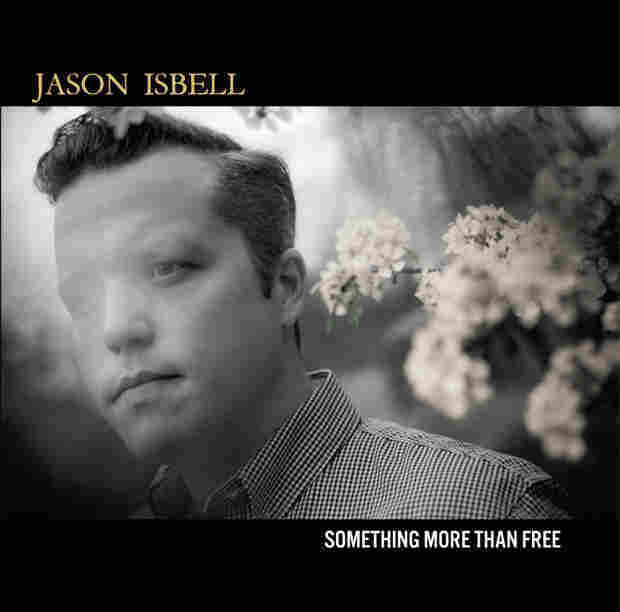 But while Drive-By Truckers' members have tackled the dichotomy of being both progressive-minded and deeply immersed in the society and mythology of the South, Isbell has kept his songs subtler, for the most part — and that hasn't changed on his new album, Something More Than Free. Isbell's formula hasn't been modified much since his triumphant, Americana Award-winning album Southeastern from 2013. Then again, he's never been about reinventing a wheel that isn't broken. Rustic twang, shuffling rhythm, piano, fiddles and lap steel swim in a sepia haze; Isbell's voice is as supple, hushed, piercing and aching as it's ever been, wielded with the depth and force of a raging confessional. Like Southeastern before it, Something More Than Free was produced by Dave Cobb, the Nashville whiz who's helped light a fire under recent country albums by Sturgill Simpson and Chris Stapleton. Accordingly, the album balances clarity and grit in a way that highlights Isbell's competing halves: On one side, he's an immaculate songsmith of the old-school tradition; on the other, he's a rebel with ragged edges. On Something More Than Free, that rough-hewn glory is best heard in the shaggy, psychedelic honky-tonk of "Palmetto Rose," a song Steve Earle could've lived in, as well as in the blown-out, Neil Young-like solos of "To A Band That I Loved." But even here, Isbell modulates that rawness with glimpses of delicacy and intimacy. "Children Of Children" is a power ballad of "Free Bird" proportions, but one whose orchestral sprawl is tethered by an atmosphere that stops well shy of maudlin. "It's something like a pipe bomb ready to blow," he sings in "24 Frames," the album's most immediately catchy track. Beneath its easygoing gait and lonesome guitar hook lurks a helping of Isbell's patented, pent-up intensity. "Seeing a confederate flag makes me angry and sad because it represents a refusal of certain small-minded people to grow and change," Isbell wrote on Twitter in June, two days after a racially motivated mass shooting in Charleston reignited a still-raging debate about South Carolina's flying of the confederate flag over its Capitol building. Isbell couldn't have foreseen any of that when he decided to name his new album Something More Than Free, but that title resonates nonetheless — not only as a testament to the emotional baggage of which Isbell sings, but also as an acknowledgement that the concept of freedom, however it may be defined or distorted, is never far from a Southern mind.